We once knew a pharaoh who was a pretty cool guy, but didn't believe in keeping up appearances. For instance, instead of an exquisite and ornate scepter, he held court with nothing but an old "staff" that he broke off a tree branch. And you know what? No one took the poor guy seriously. No one feared or felt intimated by him. And if you want to be a powerful Egyptian pharaoh, tribal chieftain, or post-apocalyptic desert warrior, you've gotta have the right accessories. And nothing says "power" and "don't mess with me" quite like this Egyptian Cobra 25 Inch Staff! 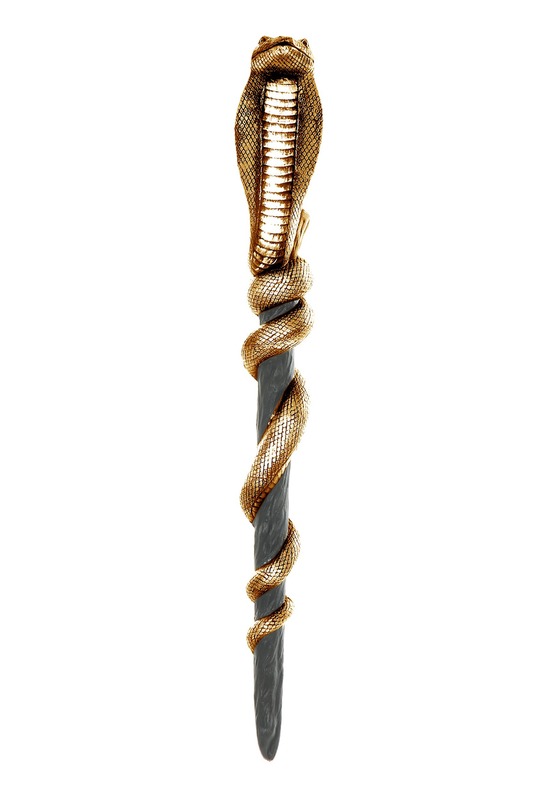 Over two feet long and with a fearsome cobra (that looks as if it's been carved from gold) coiled menacingly around it, this staff makes a great addition to any costume depicting a man or woman of absolute power. So this Halloween, make sure you don't hold court without this staff by your side!